Ahh! Spring is in the air! I can tell by the smell of the air. Even though today was rainy and chilly, there was a certain "greenness" in the air that can mean only one thing. Spring is on the way! Also, there were two ducks, mallards, in our fish pond this morning and they only stop off in the spring, maybe on their way north. 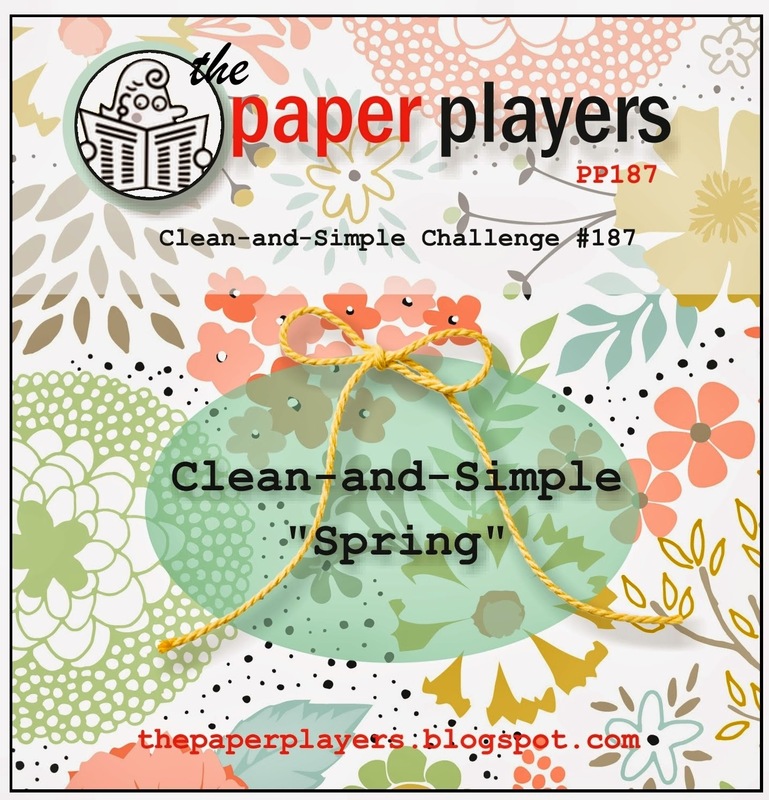 The Paper Player's Challenge #187 is a Clean and Simple Spring theme this week. The image is from the Backyard Basics stamp set. I inked it up with Daffodil Delight and Smoky Slate Stampin' Write markers. 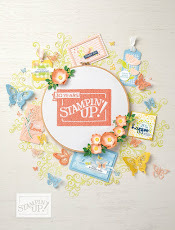 The sentiment is from the stamp set, Delightful Dozen, and is stamped in Soft Sky ink. The Fancy Fan design on the Smoky Slate DSP from the Neutrals Designer Series Paper Stacks is a perfect background to the simple image on the main panel. Daffodil Delight is one of the few colours available in the 1/2" Seam Binding Ribbon. It adds a shiny pop of colour to an otherwise subdued card. Have I mentioned just how much I like Candy Dots. They are the perfect afterthought. They look like brads, but unlike brads, can be added last minute to help give your card balance and eye-appeal. 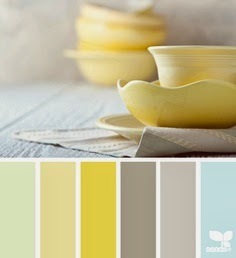 If you ever get stuck for colour combinations, search for colour palettes on Pinterest! You'll come up with more than you can ever use of delicious, mouth-watering combinations, some even labelled with Stampin' Up colours. If not, just match the colours to Stampin' Up's and you've got yourself a beautiful combination to use on your next card. Have you got everything you wanted from the Sale-A-Bration Brochure? 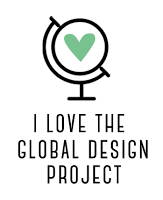 If not, it's still not too late to submit an order of $60 and pick up one more free item. 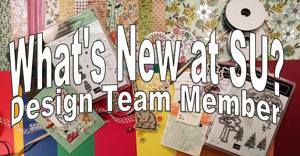 Or how about a $200 order and get 3 Sale-A-Bration free items and $35 in other free products of your choice for hostess rewards? 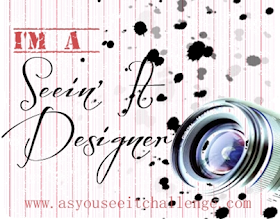 Here's some highlights from Convention 2013: Be The Difference! Let me know if you want in on all the fun! Phone or email me. Labels: Backyard Basics stamp set , clean and simple card , Delightful Dozen stamp set , get well card , Heather Cooper , PP#187 , Stampin' Up! What a pretty spring-y?? spring-ish?? spring-like?? card. That is a great color combo. I think I might have to check out the color scheme things on pintrest that you mentioned, it sounds so helpful. Very neat and beautiful. Love the way how you have incorporated the colors on your card. Beautiful, Heather! These colors are perfect together. What a classic layout! Thanks for playing with The Paper Players this week!